Let your yes be no and your no be no? Presiding Bishop Katharine Jefferts Schori on February 23 told the community of people who work at the Episcopal Church Center in New York that the new structures asked for by the primates in Dar es Salaam, and the clarifications they want about the Episcopal Church’s stance on blessing same-gender relationships and partnered gay and lesbian priests becoming bishops, can be a “container” in which the Anglican Communion can continue to discuss issues that many Anglicans would rather avoid.. So her she’s talking about structural containers – i.e.,the Pastoral Council (doesn’t use the word “scheme” here because she wants 815 to buy it, calls it a “container” instead). We’re going to listen to the original recording again tonight (join us – it’s posted above). It will be interesting to compare what she said then to what she’s saying now. But as I recall, she was supporting the new Anglican structure like the Pastoral Council as being akin to what she herself had proposed. She did support the Communique and that was clear when she came home. It was clear that no one left until they were all in agreement. Now she’s telling a diferent story. Now she’s pulling a Griswold. And yes, the ENS story of her original talk to the 815 staff is still blank. Check it out for yourself. Here’s the Church of England Newspaper article from today, March 30, 2007, that focuses on the About Face of Katharine Jefferts Schori. 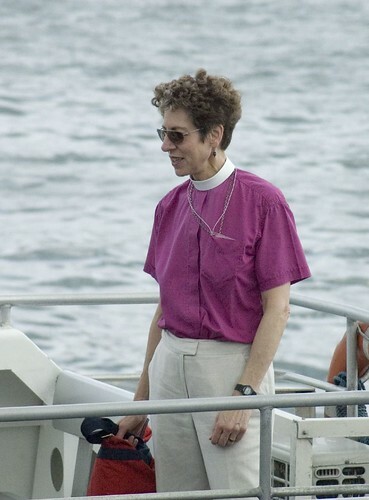 US Presiding Bishop Katharine Jefferts Schori has qualified her support for the Primates’ Dar es Salaam communiqué, telling reporters her endorsement did not connote agreement,but signified her intention to act as the Primates’ messenger to the US House of Bishops. In a March 21 conference call with reporters, Bishop Jefferts Schori said she backed the US House of Bishops’ decision to reject the pastoral council. Asked whether this support served to revoke her signature on the Primates’ communiqué,she responded that she had not signed the Feb 19 Dares Salaam statement. Recollections of events from the final session of the primates meeting differ. Speaking with The Church of England Newspaper shortly after the meeting,one participant stated Bishop Jefferts Schori said “I accept,” in response to Dr Williams’ query whether she could live with the agreement. The Presiding Bishop’s comments come at the moment of the American church’s sharpest divide,with some warning of impending schism, while others arguing all is well. Bishop Jefferts Schori explained the rejection was “not a final decision,” but are commendation by the Bishops to the church’s Executive Council. 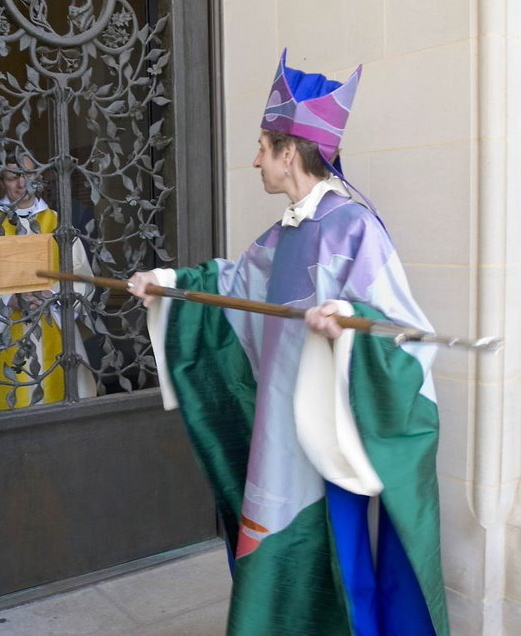 The Episcopal Church’s formalresponse to the communiqué would not come until September, after a series of town-hall style meetings and consultations acrossThe Episcopal Church,she said. What the bishops’ rejection had accomplished was “to make a statement which self-differentiated ourselves as The Episcopal Church while protecting the polity of our church. This means no outside interference which would violate our Canons or Constitution,” Rochester, NY Bishop JackMcKelvey said. 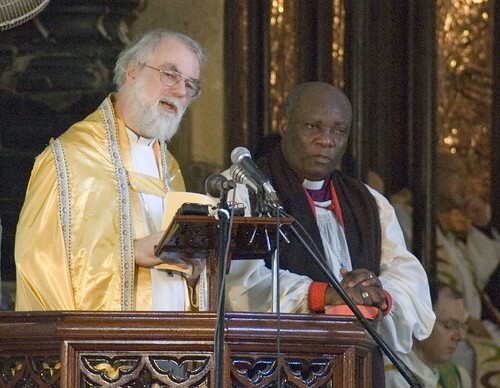 In a brief statement released through the Anglican Consultative Council, Dr Williams noted the results had been “discouraging,” showing the “need for further discussion and clarification.” A spokesman for Lambeth Palace told The Church of England Newspaper Dr Williams would release a detailed statement in the coming days. At the close of the Primates’ meeting however, DrWilliams stated, “these are the terms that have been put” to the US House of Bishops. “I think it would be rather difficult if there were a response in other terms.” If the US church were unable to give the “reassurances” requested by the primates, “then in fact the damage is not repaired, and that has to affect some of the consideration we would want to give about the organs of the Communion,” Dr Williams said on Feb 19. The leaders of the GlobalSouth coalition of primates were caught off guard by the US decision. Many were traveling or conducting visitations when the news broke, and have not had an opportunity to gather as a group to offer a collective response. Archbishop Carlos Touche Porter of Mexico argued rejection of the pastoral council by the US was inevitable. There was “no other response” to the primates “that could have come out of the House,” he said. From the Church of England Newspaper via Latimer.